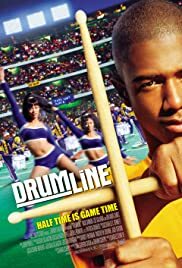 Danielle (Dani) Bolton, an upper class Brooklyn girl, defies her parents in order to attend a college in Georgia so she can join - and revitalize - their once-prominent drumline. Devon: Oh snap! Now you can see me? I'm not a musician and know little about marching bands. However, this movie captivated my attention. The athleticism of these musical marchers was something I had never thought about until watching this excellent movie. The music is wonderful and the drumline competition puts the dueling banjos of yesterday to shame. The story line delivers a good message of how raw talent can be molded into disciplined success. The concept of teamwork and individual goals are blended into a believable and inspiring movie. I found the acting to be very good and will look for the cast in future movies. Nick Cannon and Orlando Jones never leave any doubt about the characters they are playing.